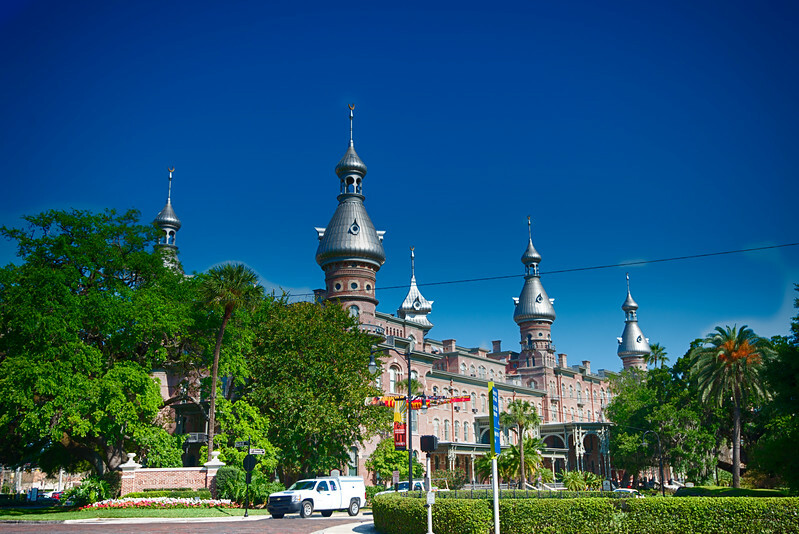 Plant Hall on the University of Tampa’s campus. Plant Hall was formerly known as the Tampa Bay Hotel, which was a 500+ room resort hotel opened in 1891 by Henry B. Plant near the terminus of his rail line. On June 14, 1898, Lt. Col. Theodore Roosevelt and the First United States Volunteer Cavalry, known as Rough Riders, embarked from Port Tampa for victory in the Spanish-American War. The Tampa Bay Hotel was used as their headquarters.